We don’t usually post two desserts in a row, but somehow it makes the summer-into-fall transition seem clear. Blueberry pie so quickly turns into warm oatmeal cookies. And these aren’t just any oatmeal cookies…I had to name them “Decadent Oatmeal Cookies” because listing the ingredients would make for a long, awkward name. 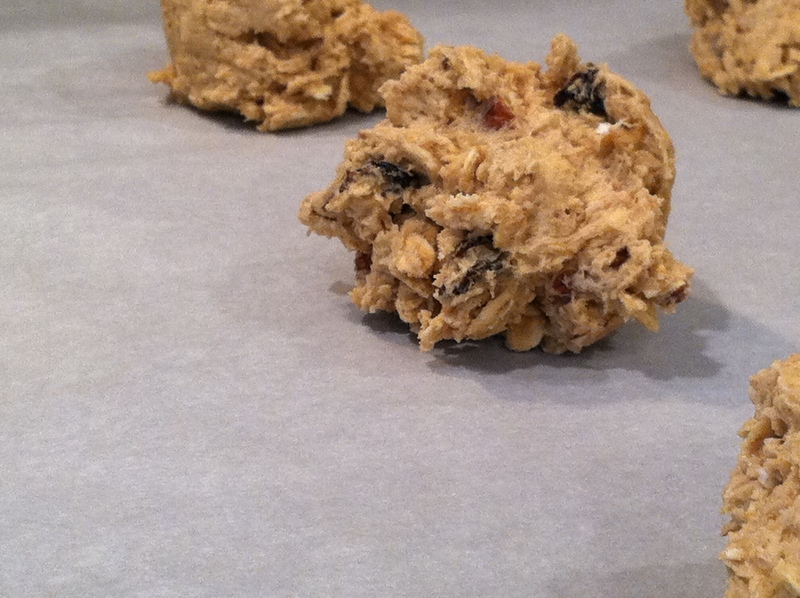 Pecan, Cherry, Chocolate Chip Oatmeal Cookies. See? This base recipe came from one of our favorite wedding-present cookbooks (Bride & Groom, First and Forever Cookbook). 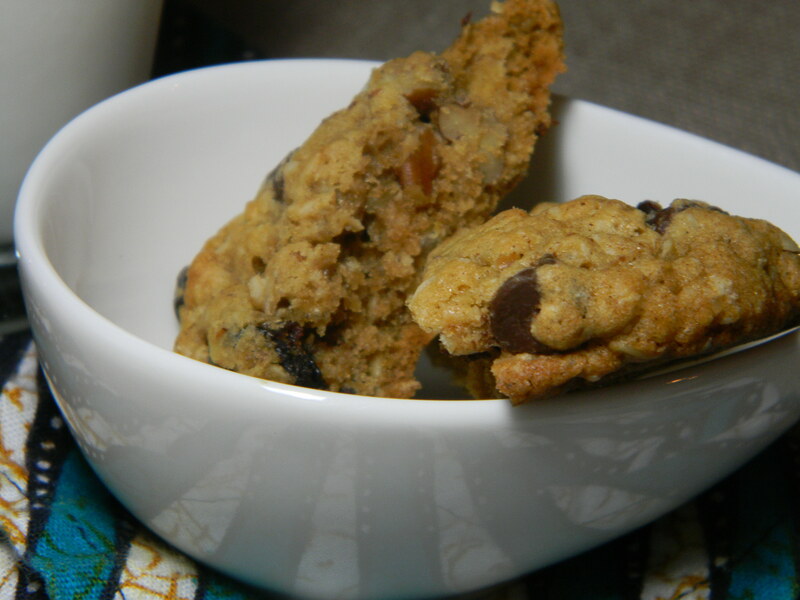 In that cookbook, it’s just a plain oatmeal cookie recipe, but it is so fool-proof, and results in THE most delicious batter. I admit, I’m a batter eater, and I almost overdosed this time. I probably ate 6 cookies worth of batter. They have just the right amount of salt, and I loaded them up with chocolate chips, so that made for a darn good salty-sweet combo. We opted for pecans and dried cherries to compliment the usual oatmeal/chocolate chip combo, but you could substitute with anything, really. Have fun with this recipe – it’s really easy and also realllly addicting. Happy fall!